Nowadays, mobile app developers have become the talking point in taking a business to its maximum growth. It is even true that most of the biggest organizations are shifting their attention towards developing a good mobile app in order to attract attention of more audience and take their business to new heights. Despite having a mobile app, there are many business organizations who fail to garner maximum attention. The reason being they stay behind the updated technologies. The mobile should remain up-to-date with the modern and latest trends so that it easily appeals to the masses. Let us now have a look at the latest technologies and trends that you must pay heed to for your business growth. From the past few years, Artificial Intelligence has received too much attention due to its ability of making an app smarter than before and saving the business firms from spending unnecessary money. Artificial Intelligence helps an app to learn the behavior pattern of the customer in order to provide them with more personalized experience. It also makes available the chatbots which are self-automated. The users can ask their queries on the chatbots and they will get revert accordingly.As per a recent study, the use of chatbots will help a company save around $8 billionand carry out 85% of tasks related to customer care service in the next two years. Apart from that, the Artificial Intelligence also has the ability to make calls on behalf of humans to make business-related appointments with the other party. As there has been tremendous rise of E-commerce in the last few years, most of the businesses have added online banking in their respective websites. 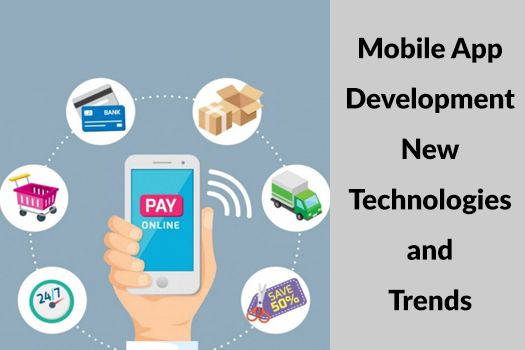 Having various modes of payment while online shopping, several organizations have introduced the option of Mobile Wallet. Mobile Wallets are basically embedded with encrypted security which ensures the customers that their money kept in the Wallet is completely safe and secure. It is believed that soon enough the customers will be provided with various other interesting features in the Mobile Wallet which will make their transaction much easier and convenient. In today’s time, it is very useful to incorporate cloud technology in your mobile application. Doing this will help your business in many ways, such as you don’t have to pay for the hosting or other equipment, seamless operations, and maximum productivity. The cloud-based mobile app will increase the storage capacity of data even if it is a heavy data, andefficiently carry on with the rest of the stuffs without any problem. Therefore, ask for a reputed mobile application company to help you with creating a great and responsive mobile app for your business. Such professional app developers will ensure to embed your mobile app with the updated technologies and trends which will make your business app competent enough to help your business grow abundantly in the future.